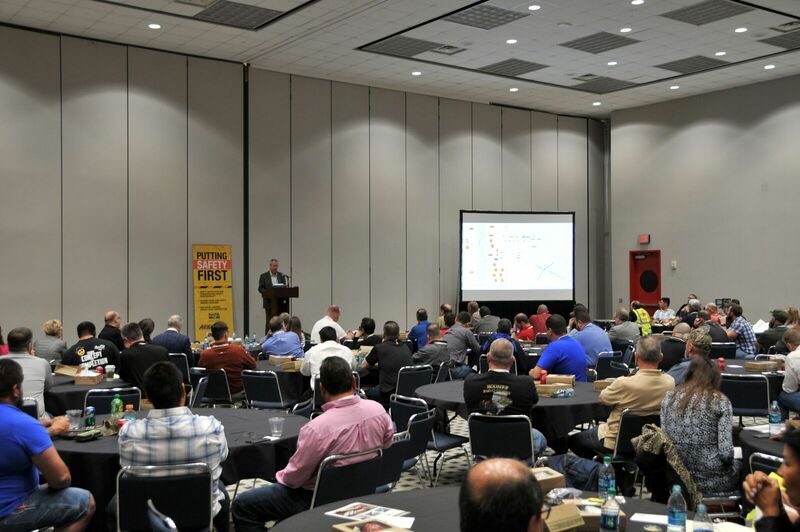 Nearly 150 people attended the special safety luncheon at World of Asphalt. Nearly 150 people attended a March 7 luncheon at the 2018 World of Asphalt conference in Houston where ARTBA and the National Asphalt Pavement Association (NAPA) announced a broad cooperative program aimed at improving safety in the roadway construction industry. Cornerstones of that cooperation are the Safety Certification for Transportation Project Professionals™ (SCTPP) and a new suite of online roadway construction safety courses. The two associations co-hosted the event and also staffed a joint Safety Pavilion for the annual event, which concludes March 8. Nearly 8,000 road construction workers are killed or injured annually. ARTBA, NAPA and other transportation construction industry and government partners have created next-generation digital and in-person safety programs to reduce these numbers as much as possible. Comprehensive ARTBA and NAPA safety training programs. Presenters at the luncheon included 2018 NAPA Chairman Craig Parker, executive vice president of Silver Star Construction; Howard Marks, NAPA vice president of environment, health & safety; Jerral Wyer, business advisor for Texas DOT; and ARTBA’s Brad Sant, senior vice president of safety & education, and Beth Stinson, director of education & online learning.